For nearly a century the carcass of a small, reddish-brown monkey from South America gathered dust in a windowless backroom of the American Natural History Museum in New York City. Like a morgue corpse in a drawer with the wrong toe tag, it was a victim of mistaken identity. No one realised during all those years that it was, in fact, a specimen of an unknown species. That taxonomical injustice will be rectified at the end of this month when the newly-minted Latin name of the overlooked monkey—rediscovered in 2013 during a jungle expedition through central Peru mounted by a Dutch primatologist—is officially published in a peer-reviewed scientific journal. To wit, Primate Conservation, a reference in the field. 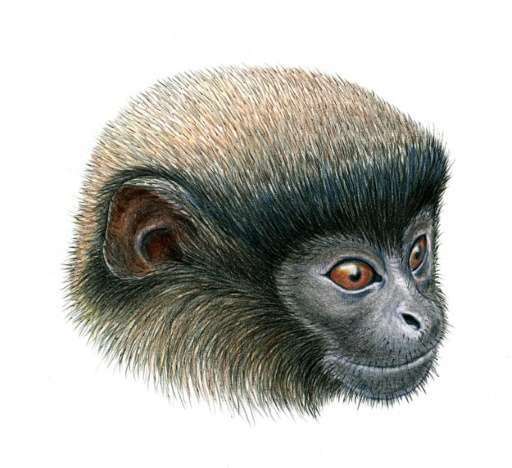 Then and only then, according to the rules of the International Commission on Zoological Nomenclature, will Callicebus urubambensis, named for the river along which it lives, finally exist in the annals of biology. The discovery of new primates, especially monkeys, is a pretty big deal. Excluding prosimians (those tiny tree huggers with freakily human-like fingers and saucers for eyes), only 21 new species have been identified since 2000, according to the International Union for the Conservation of Nature (IUCN), whose Primate Specialist Group is the ultimate authority on these questions. "Several of those are titis," said Jan Vermeer, a member of that group and the man whose five-year quest brought C. urubambensis out from the forest canopy shadows. 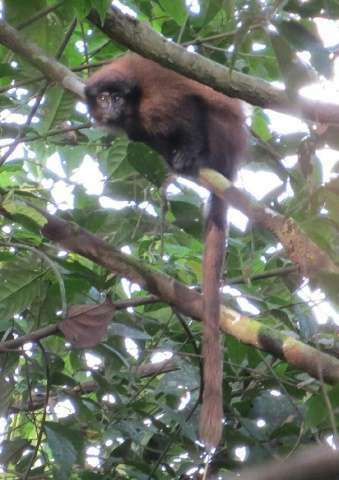 The name titi is informally applied to 30-odd types of monkeys falling under the genus Callicebus, all of them indigenous to the South American jungle. Smaller than a domestic cat, titis mainly eat fruit, mate for life, and are known to adopt the infants of other couples when survival is at stake. Males generally take charge of raising the young, handing them off to females for nursing. 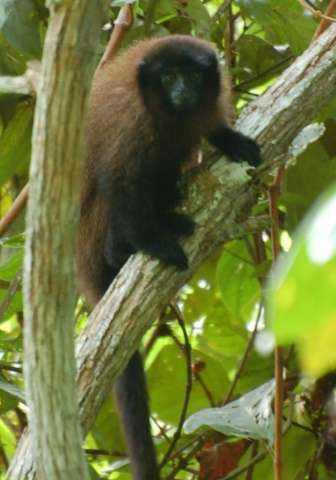 Vermeer, who is also the zoological director of a wildlife park in France, long suspected that there were additional species in the jungles of south central Peru apart from C. brunneus, named for its darker brown colour, and another monkey called Toppin's Titi. As part of his search for new species, Vermeer paid a visit to the American Natural History Museum in order to peruse the monkeys in its collection. One that was labelled as a C. brunneus caught his eye. "When I saw the specimen at the museum in New York in 2008, I began to have doubts," he told AFP. "It didn't quite look like what I expected." Improbably, he launched his search on the Web. "The Internet is full of pictures of titi monkeys, often posted by tourists that have been in the jungle and who want to share their experience with the world," he said. When he noticed some from the region in question were also slightly reddish, like the one in the museum, he knew what he had to do. His first expedition in 2009—undertaken with a group of young Peruvian conservationists from the NGO Proyecto Mono Tocon—was more for reconnaissance. When Vermeer returned again in 2013 with Julio Tello-Alvarado, the NGO's head of research, they spent several weeks before hitting pay dirt. "As soon as we crossed to the western side of the Urubamba River, we almost immediately discovered the new species of titi monkey," Vermeer recalls. A lucky encounter with a hunter who had just bagged one of these mystery monkeys allowed the scientists to confirm their hunch: they had, indeed, found a new species. C. urubambensis is probably not endangered, though the IUCN has not had time to make an assessment. The likely range of their habitat is large and sparsely populated, and has not been decimated by deforestation. Also, titis are not prized by local hunters, who favour larger prey such as spider, woolly and howler monkeys, Vermeer explained. "If you pay 25 cents for a bullet, you prefer to shoot an animal weighing 10 kilos, not one," Vermeer said. While a huge success, the expedition did not come without a cost: one member of the team fell sick with malaria, and another checked into a hospital with acute abdominal pains. At one point, members of an indigenous community—bows drawn—threatened to skewer the intrepid biologists with arrows. That is when Vermeer remembered an air strip they had seen cut from the jungle, probably to transport cocaine, his guides said. "It wasn't for Doctors Without Borders," Vermeer quipped. The hostile reaction might also have been rooted in fear. "In some communities, they believe that white men come to kidnap their children to steal their organs," he said. But Vermeer and his companions never wavered, and are already preparing their next jungle outing. "If we want to protect our nature in Peru, we will first need to know what lives in the country," said Tello-Alvarado. "This kind of research is the basis of future effective conservation strategies." I really hope you die in a head on crash today and suffer horribly before dying.